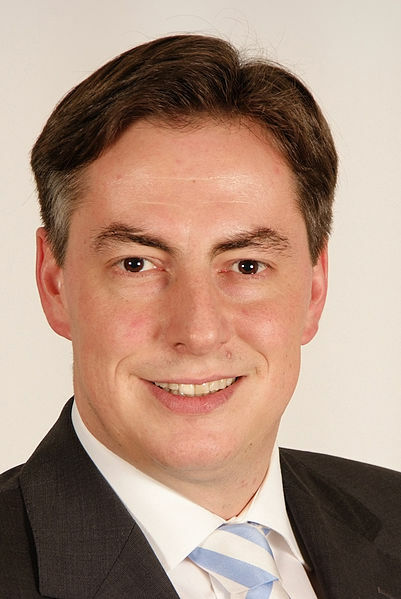 David McAllister has been the Christian Democratic Union prime minister of Lower Saxony since July 2010. With the nation watching, McAllister, 41, played host to Merkel and the Christian Democratic Union as the party gathered at his northern Germany power base in Lower Saxony. It was a triumph for both politicians. Merkel was re-elected party leader, while McAllister was effectively anointed as her political son and likely successor. A Scotsman the likely next premier of Germany? Very nearly. half Scot ... was born in West Berlin to James McAllister, a British army father from a working-class part of Glasgow who was serving with the Signal Corps, and a German music teacher mother, Mechthild. Childhood consisted of growing up in what he refers to as "Little England", the British military sector in the heart of West Berlin's Charlottenburg district, where streets were named Hardy, Dickens or Brontë Weg (way). "I had a British upbringing in the middle of West Berlin. We had British buses, wore school uniform and spoke English at home. My dad would always bring the Telegraph home from the office, and we listened to BFBS (British Forces Broadcasting Service) all day, including the football results read out by James Alexander Gordon." He describes "turning German" at the age of eight, when his parents decided to stay in Germany, and he was put into an all-German school. He'd later do his military service in the German army, but has retained both German and British passports. But he admits that his Britishness has remained an important part of his identity, particularly his sense of humour, "a dose of which would be good for German politics". I hope that next week the Gulf News will carry an article suggesting the Gisela Stuart stands a good chance of replacing Ed Miliband before the next election and becoming the Prime Minister of the UK in 2015. What a wonderful way to celebrate 100 years since the Great War that would be. When did the Liberal revival begin? Is Theresa May a KGB agent?